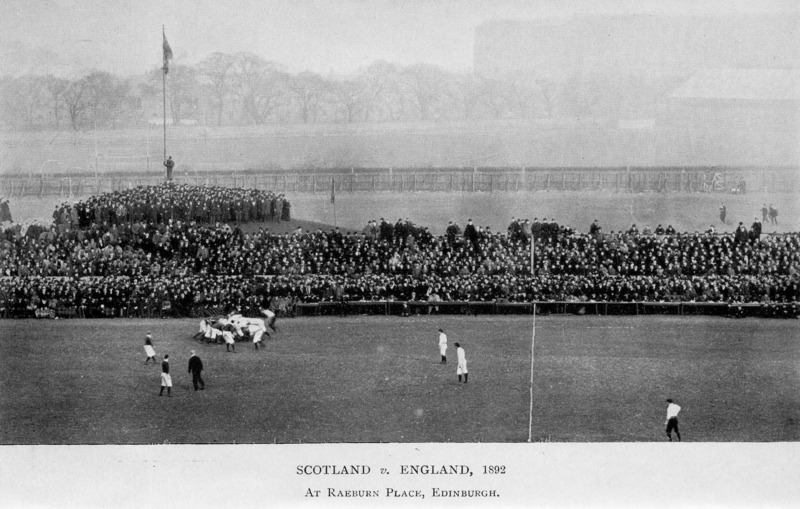 The purpose of this outline of the establishment and development of Rugby Football in Scotland is to place on available record information which may be generally lacking, and the imparting of which, it is felt, ought not to be deferred until the generation which founded and built up the game has passed away and the subject has entered the region of myth and tradition. 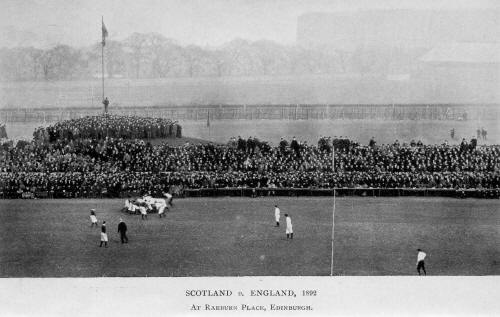 Much of the fabric of present-day Rugby Football was built on foundations laid in Scotland. Many of the greatest exponents of the game were Scottish players, and the influence of the judicial bent of the Scottish mind, as well as the exertion of the spirit of independence, are monumentally recognised in the International Board established on the demands of Scotland for orderliness and equality. The present-day Scottish Rugby faculty has therefore succeeded to a goodly heritage, no part or parcel of which they should allow to be filched from them. I have to express my thanks for permission to utilise a series of articles on the subject which appeared in the Edinburgh Evening Dispatch last winter, and at the same time I wish to acknowledge with gratitude the kindly assistance rendered by a number of old-time international players in verifying and adding to the information in my own possession.